This documentary is a filmic expedition through the “Nordweststadt” – the only realized spatial city (“Raumstadt”) worldwide, build in the 1960s . 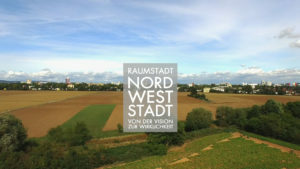 In interviews with the city planners, the residents and those responsible today, the film explores the ideas and ideals that originally stood behind the urban planning concepts realized in the “Nordweststadt” and what it means for people in their everyday life to live in this idea of an ideal city. In the 1960s and 70s, new development areas were built on the outskirts of cities throughout Germany. Housing estates with then modern apartments in order to be able to cover the housing needs for the core city – the so-called “Trabantenstädte” (satellite towns). In the north-west of the city of Frankfurt am Main, the construction of a new part of the city began in the early 1960s – the “Nordweststadt“, the first and still the only realized “Raumstadt” (spatial city), according to the conceptual design of Walter Schwagenscheidt worldwide. The city planners at that time devoted themselves with much idealism and great visions to the realization of their idea of an ideal city. The film is a portrait of this urban district – from the idea and the planning to the construction, to the daily life of now three generations in this ideal satellite town. The basic idea of the film is to contrast the concepts and visions of the planners with the real live of the inhabitants, and to make this experienceable in conversations with the people who have grown up in this truly unique part of the city and who still live there today. With this film we want to show which ideas and ideals originally stood behind the urban planning concepts realized in the “Nordweststadt” and what it means for people in their everyday life to live in this reality of the idea of an ideal city.